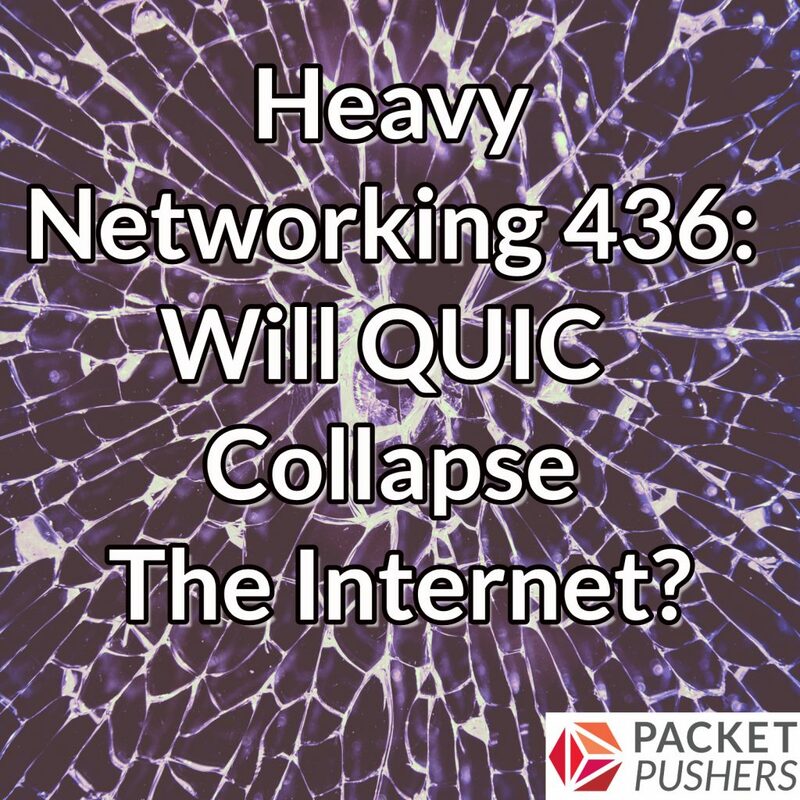 You are here: Home / Podcast / Heavy Networking 436: Will QUIC Collapse The Internet? Today’s Heavy Networking dives into QUIC, a transport protocol originally developed by Google and now an IETF project. QUIC promises advances over TCP and the opportunity for faster innovation, but it also poses a potential problem; developers may try to tune congestion control algorithms such as BBR in their favor, gobbling up available throughput while other connections limp along. That guest is Christian Huitema, an author and contributor to IETF standards with more than 40 years’ experience with software and Internet protocols. A former Microsoft engineer, he’s founder of the consulting firm Private Octopus, Inc.
We discuss how QUICK and BBR function, how they work around traditional gatekeepers and the pros and cons of those workarounds, and how QUIC differs from TCP. We also examine the potential problems that QUIC could unleash, and explore congestion control and Adaptive Queue Management (AQM) algorithms as possible solutions.